A new Miami Herald poll indicates Barack Obama has taken a lead in Florida. The key factor: swing voters. Obama has opened up a 49-42 percent lead over John McCain in Florida, according to a new Miami Herald poll showing the Democrat earns high marks on the economy and is drawing significant support from the swing voters who decide elections in the nation’s largest swing state. 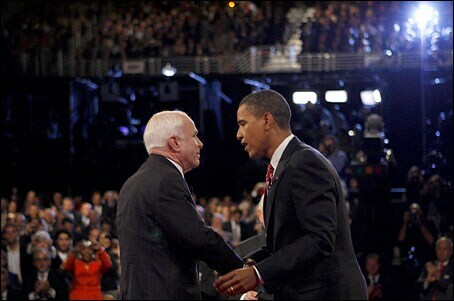 Watch the 2008 Presidential debates live and interact with the 2008 presidential candidates Barack Obama and John McCain. Presidential Debate 2008 election are now over, brought to a close by an at-times testy back and forth between Barack Obama and John McCain at Hofstra University in New York. 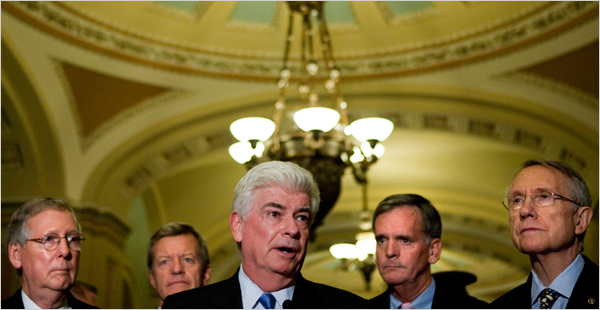 McCain did not score the knockout blow that many Republicans had hoped but he did land several solid body shots — the best of which was his repudiation of Obama’s contention that he represented four more years of President George W. Bush. Obama, well aware of his lead in state and national polls, refused to be flustered by McCain and instead brought nearly every question he was asked back to the economy and the struggles of average middle class families. Obama wasn’t particularly dynamic, but he didn’t have to be. McCain took issue with a recent attack by Democratic Rep. John Lewis, an icon of the civil rights movement, who levied a harsh attack against McCain and Sarah Palin for not doing more to repudiate the negative statements some supporters have made at GOP rallies. McCain called the attack “unfair and totally inapproate” and rightly noted that he has personally repudiated attacks from Republicans against Obama. US Democratic presidential nominee Senator Barack Obama (D-IL) makes a surprise visit to an election campaign volunteer training session in Columbus, Ohio, October 10, 2008. Obama has denounced the radical views and actions of Bill Ayers, a founder of the violent Weather Underground group during the Vietnam era. On Sunday, Obama dismissed the criticism from the McCain campaign, leveled by Palin, as “smears” meant to distract voters from real problems such as the troubled economy. Palin, the Republican vice presidential candidate, launched the attack Saturday and repeated it twice Sunday, signaling a new strategy by John McCain’s presidential campaign to go after Obama‘s character. “In fact, Obama held one of his first meetings hoping to kick off his political career in Bill Ayers’ living room,” she told the crowd, which had just raised $2.5 million for the Republican party’s McCain-Palin Victory 2008 fund. At issue is Obama‘s association with Ayers. Both have served on the same Chicago charity and live near each other in Chicago. Ayers also held a meet-the-candidate event at his home for Obama when Obama first ran for office in the mid-1990s, the event cited by Sarah Palin. The Senate strongly endorsed the $700 billion economic bailout plan Wednesday, leaving backers optimistic that the easy approval, coupled with an array of popular additions, would lead to House acceptance by Friday and end the legislative uncertainty that has rocked the markets. The presence in the Senate of both presidential candidates in the final weeks of the campaign gave weight to the moment. The political tension was clear as Senator Barack Obama walked to the Republican side of the aisle to greet John McCain, who offered a chilly look and a brief return handshake. The upcoming debate between Vice Presidential candidates Sarah Palin and Joe Biden hasn’t even occurred yet and it already has its first controversy. It seems that Gwen Ifill, the PBS reporter who will moderate the debate is in the tank for Barack Obama. This should not be too surprising. Most journalists in the mainstream media are as much in love with Barack Obama as the giddy college students who used to swoon at his rallies. Gwen Ifill works for PBS, hardly a hotbed of McCain support. But it seems that Gwen Ifill has not only an ideological interest in an Obama victory, but a financial stake as well. Gwen Ifill is coming out with a book, entitled The Breakthrough: Politics and Race in the Age of Obama, a book describing the state of black politics in the modern age, as the civil rights generation starts to give way to a generation of African Americans who benefited from the civil rights struggle and never lived under Jim Crow and segregation. You know Republicans are shaking in their cowboy boots when they resort to racial stereotyping as a way to undermine Barack Obama. Mark Whitlock and Bob DeMoss, who created Obama Waffles, insist they meant no harm, saying their drawings were merely political satire. The two writers from Franklin, Tenn., sold Obama Waffles for $10 a box from a rented booth at the Values Voter Summit sponsored by the lobbying arm of the Family Research Council. The vendors were later booted from the forum after protesters found the waffle box offensive.